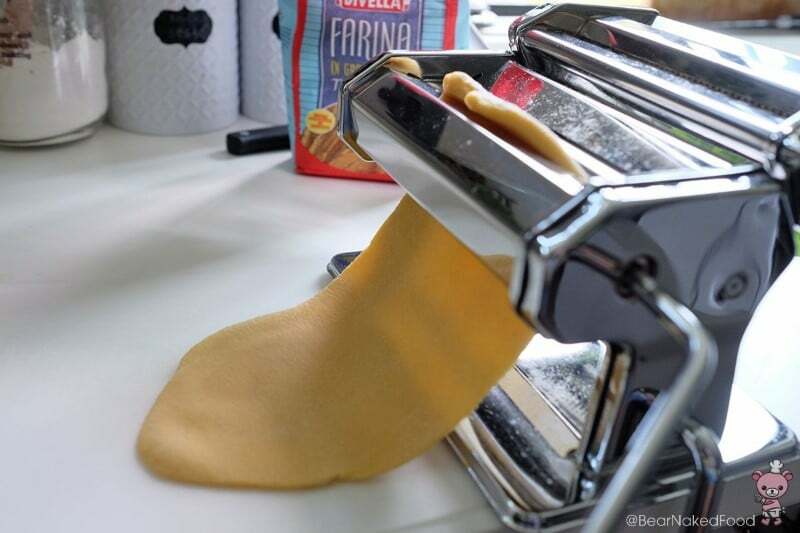 One of the joys of having some free time at home is making homemade pasta. Of course, it takes more time and energy compared to buying dried, ready-made pasta from the stores or supermarket. However, it is a wonderful skill to acquire and adds a special and personal touch to whatever pasta dish you may be making for friends and family. 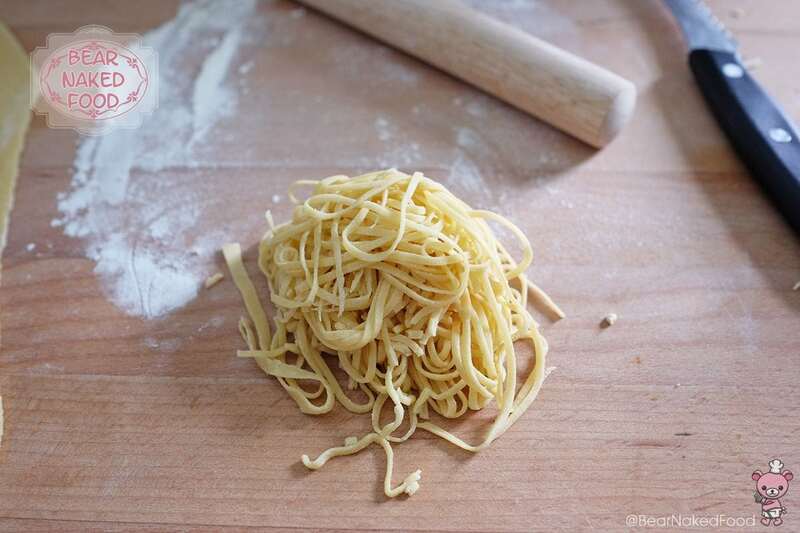 Fresh pasta cooks a lot faster than dried pasta and is often described to be much more tender and delicate in flavour. 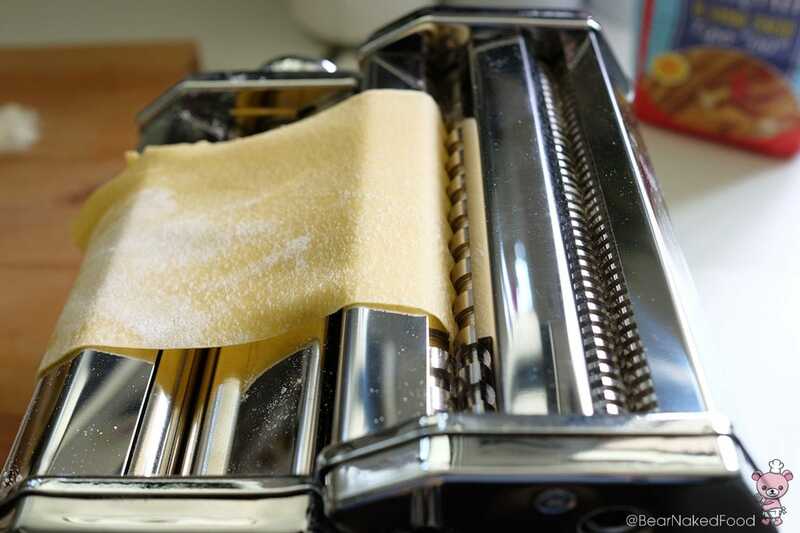 Fresh pasta is more of a tradition of North Italy compared to South Italy, where dried pasta is preferred. 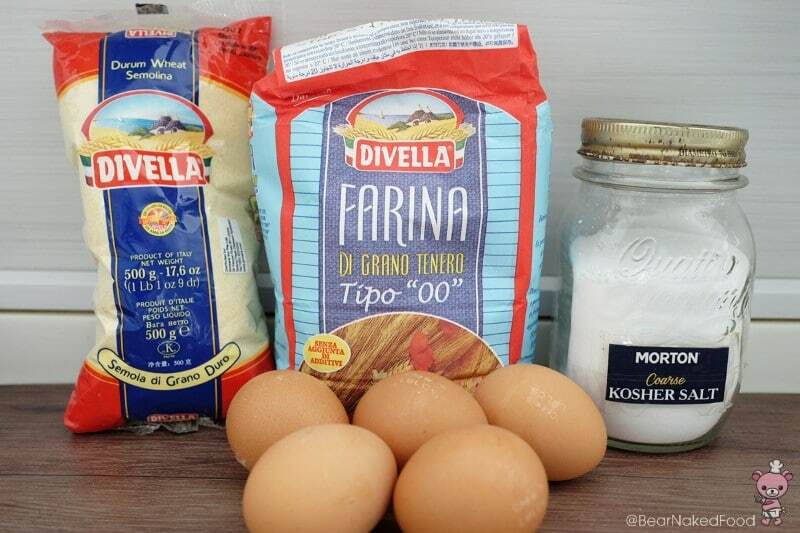 Now, in most recipes, the type of flour recommended for making pasta is 00 flour (double zero). 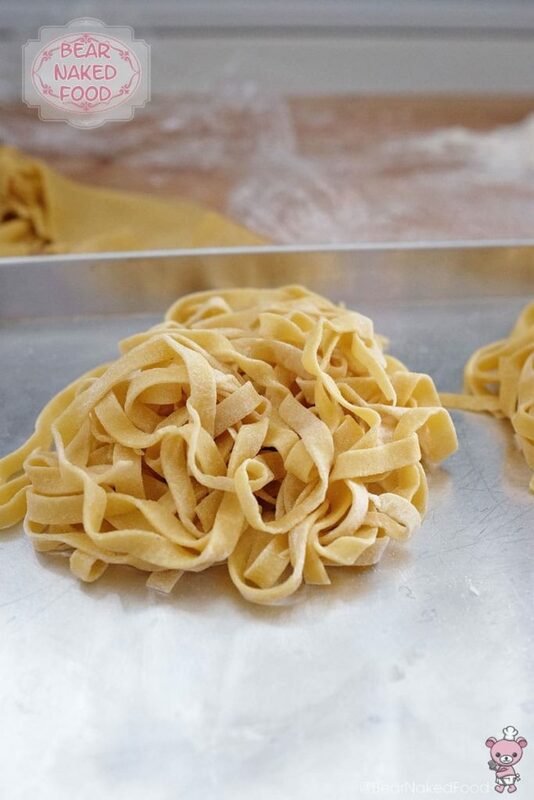 00 flour produces finer and silkier pasta texture. 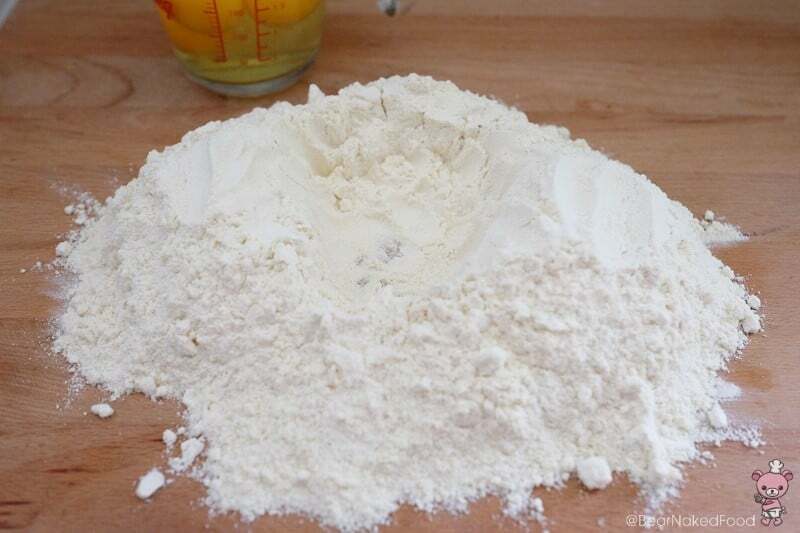 If you can’t get your hands on this type of flour, the next best option is all-purpose / plain flour. 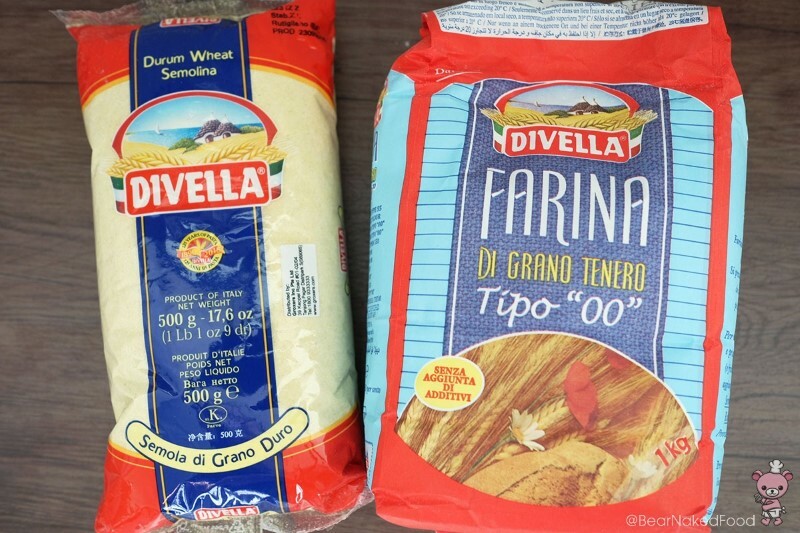 Most Italian families in the south tend to add some semolina flour (ground durum wheat) to the give an additional “bite” to the pasta, and again, this is optional but I definitely prefer adding it to the pasta dough. I got both flours from Meidi-ya, a local Japanese supermarket. 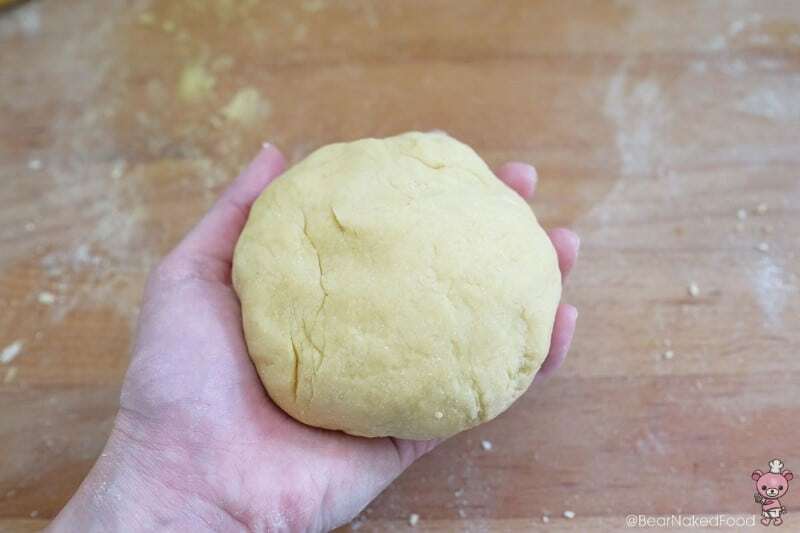 I went all out and followed the traditional way of kneading the dough by hands and I must it took quite a bit of elbow grease to get it together. You could always mix the ingredients in a food processor and transfer the dough to a working surface and give it a final knead for 5 mins. 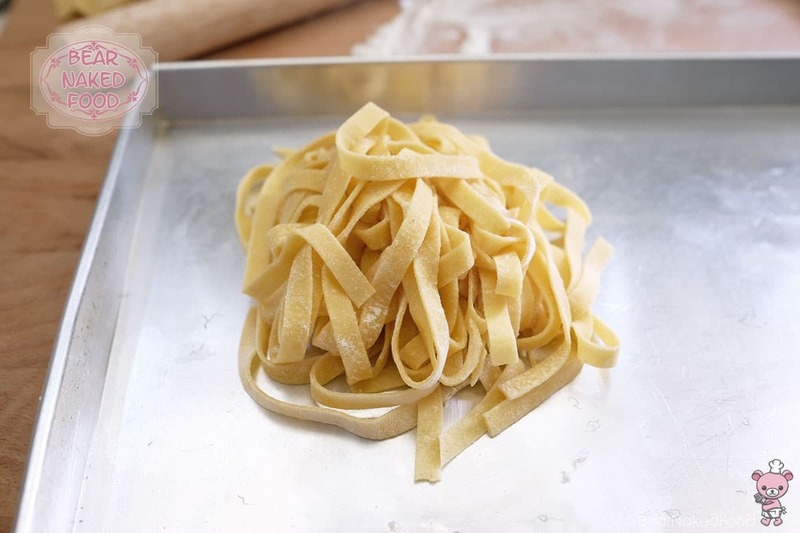 Once you have mastered the art of preparing fresh pasta, you can add your own personal and artisanal touch by adding items such as squid ink (for black pasta), dried vegetable powder (for green pasta), dried tomato powder (for red pasta) and dried beetroot powder (for pink pasta). Shapes and sizes can also vary which makes this a very entertaining event for kids as well. 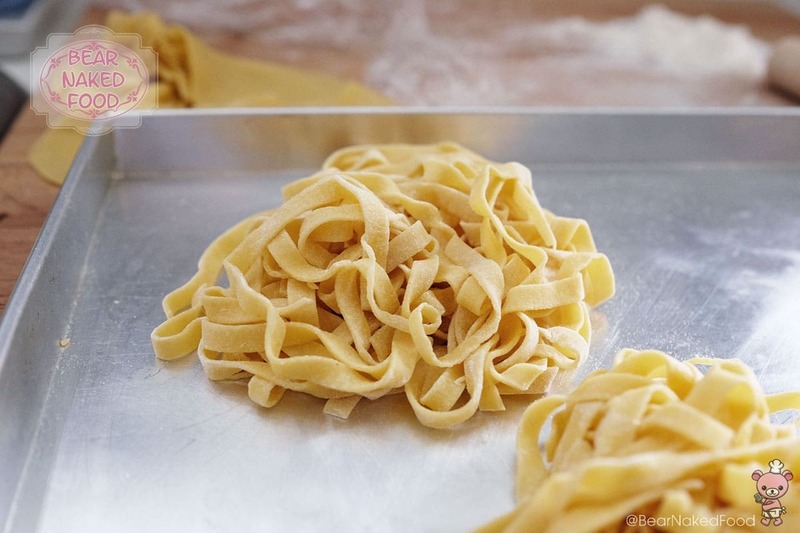 Fresh pasta is not difficult to make, it just takes some time, which means it is the perfect product to be made be it alone, or with friends and family. 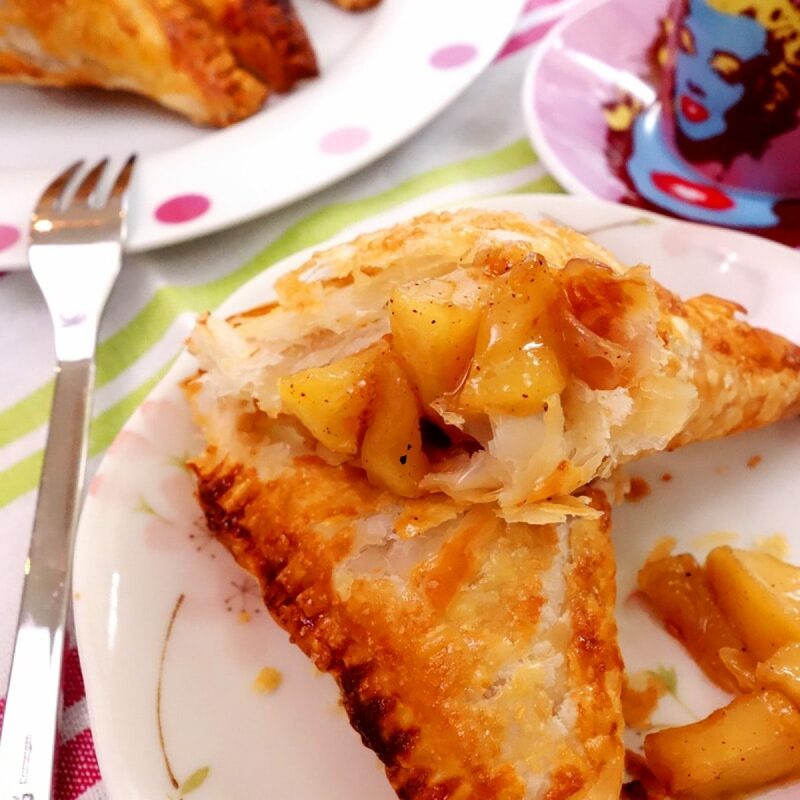 So make some time to indulge in this easy recipe. And enjoy all the fun and entertainment that comes with it. Mix both flours and salt together in a large bowl. Transfer onto a working surface or wooden board and make a large well in the middle. 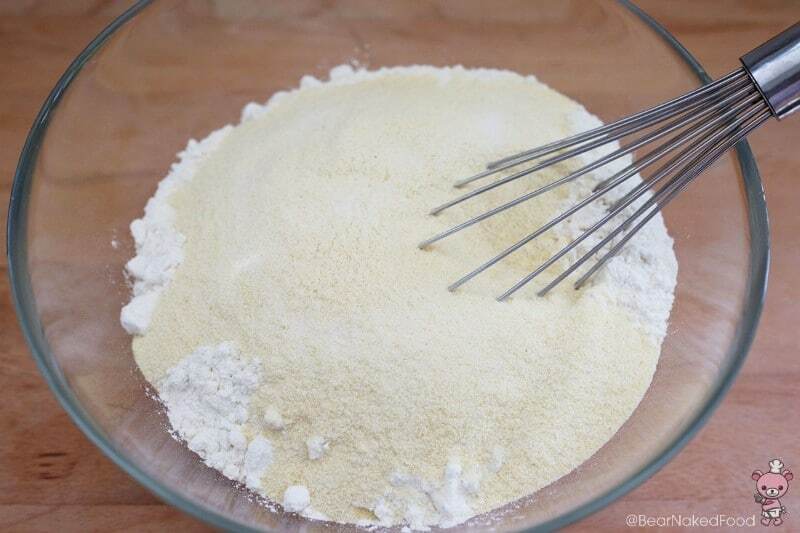 Pour in 2/3 of beaten egg and gradually stir the flour into the egg mixture. 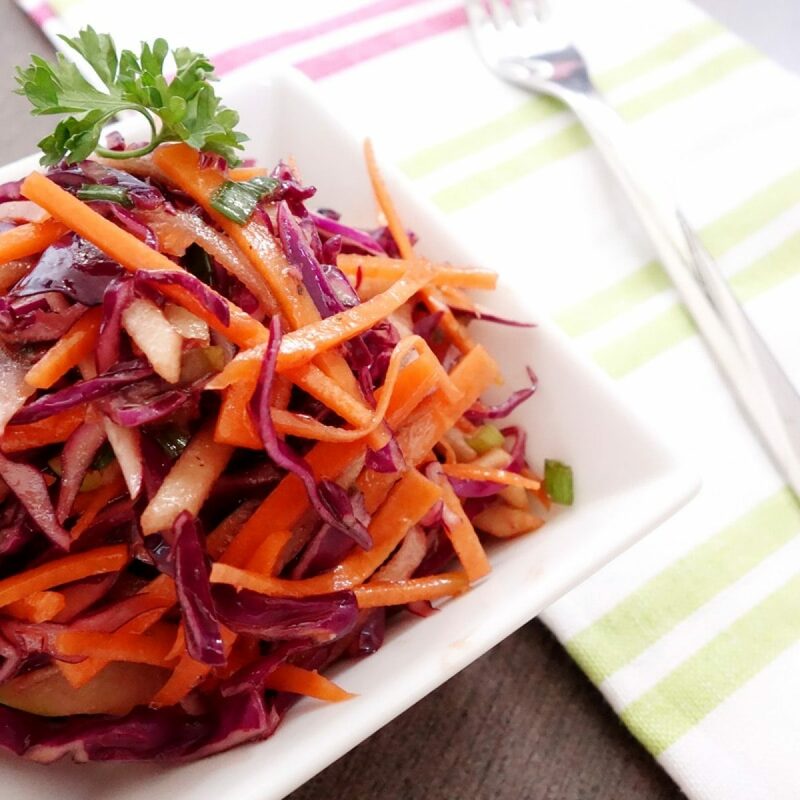 You could use your fingertips or a fork. Add in the rest of the egg mixture if the dough is too dry. Knead for about 10 mins until the dough is smooth. Wet your palms with a little water if the dough feels tough to knead. 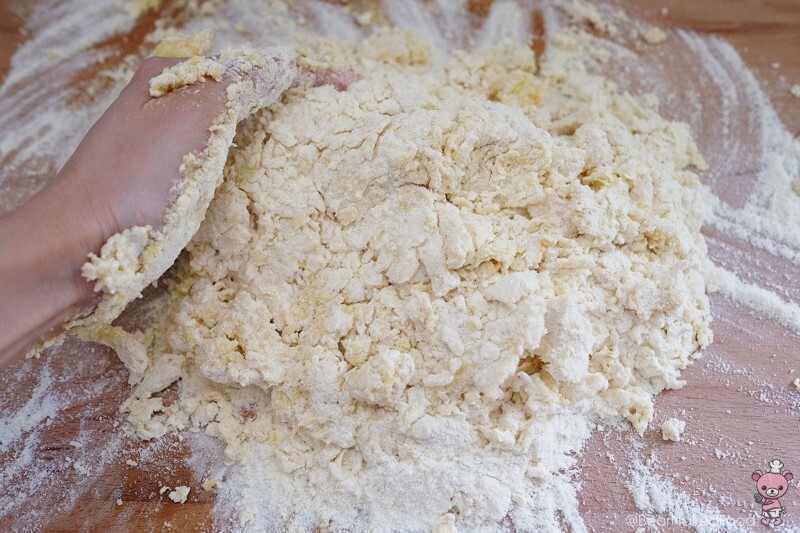 The dough should feel smooth and silky instead of rough and floury. 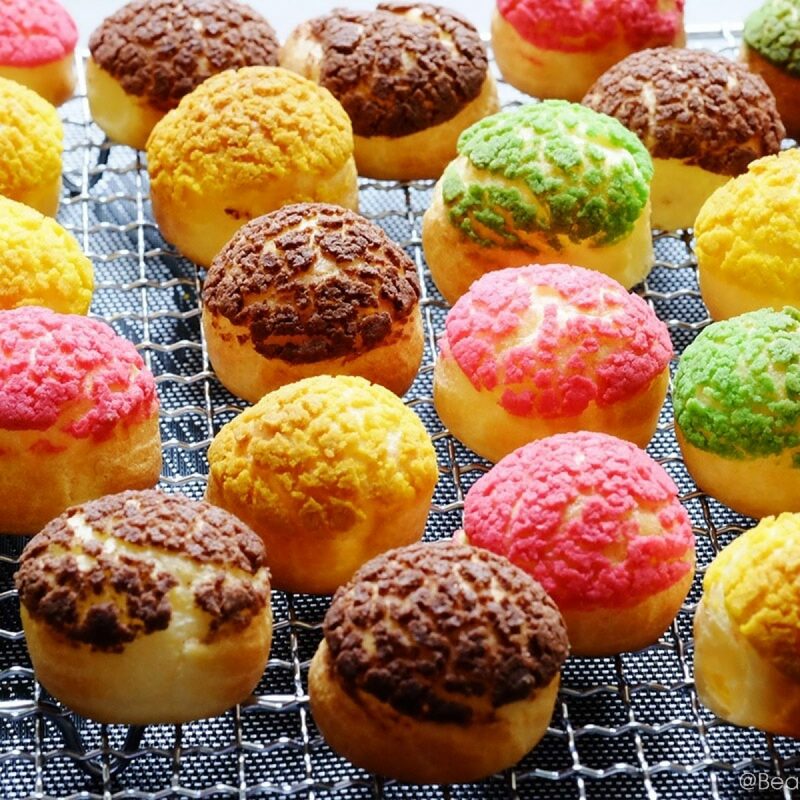 Roll into a ball and poke the dough with your fingers. If it springs back, it is ready to rest. 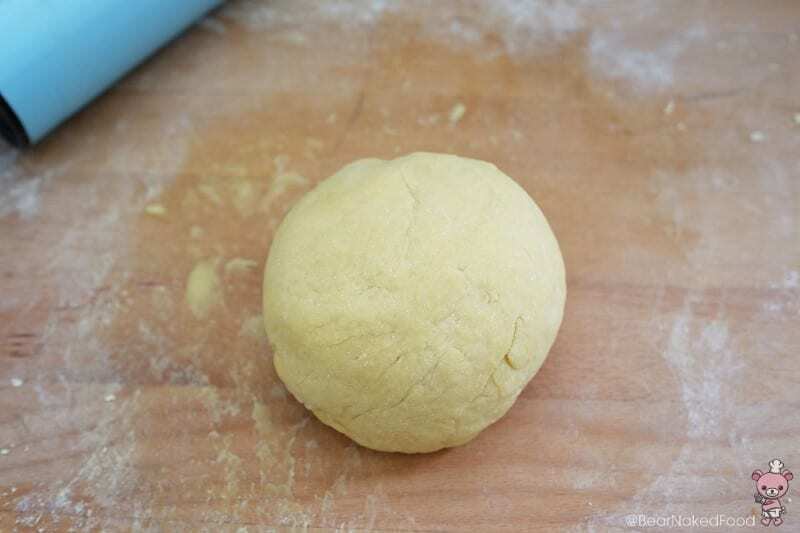 Divide the dough ball into two and wrap each one firmly with cling wrap and rest for 45 – 60 mins in a cool place. 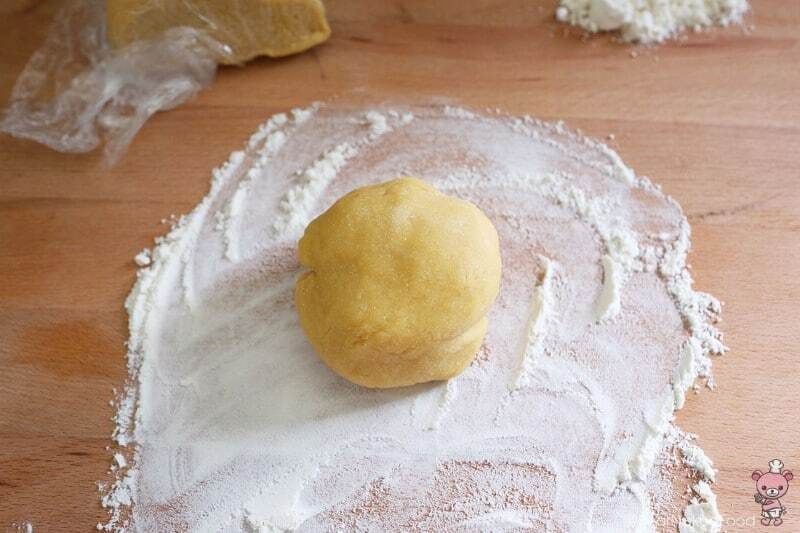 Spread some flour onto your working surface and work with one dough ball. 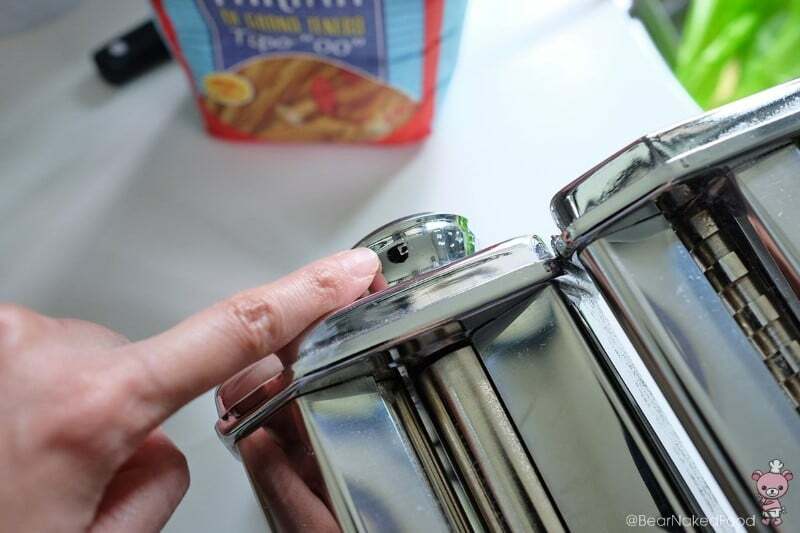 Flatten it out about 1 cm thick and pass it through the widest setting of your pasta machine if using. 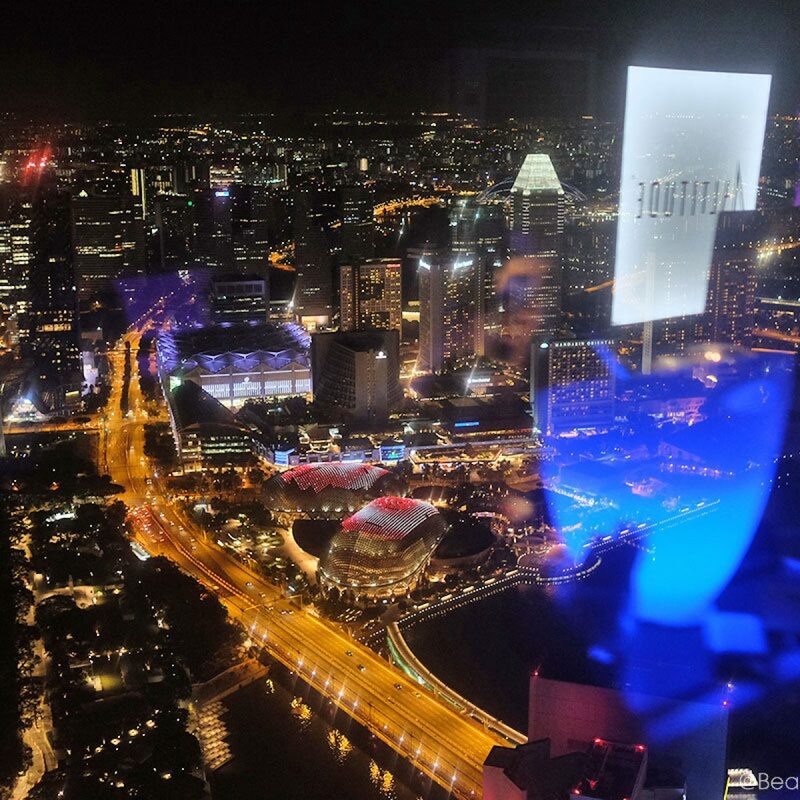 Turn the dial to the widest setting first. For mine it starts at 2. Put it through each setting twice, fold it and switch to the narrower setting. Repeat until you reach the narrowest setting. 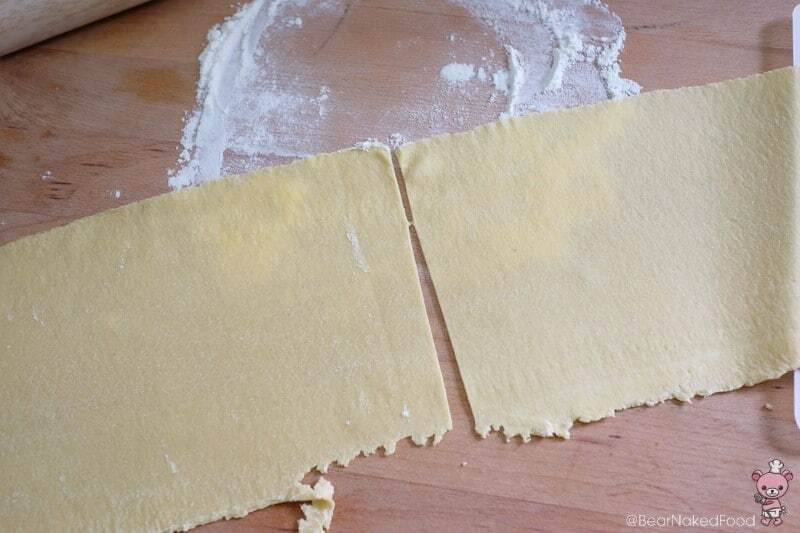 Alternatively, if you do not have a pasta machine, use a rolling pin and mimic the above process. 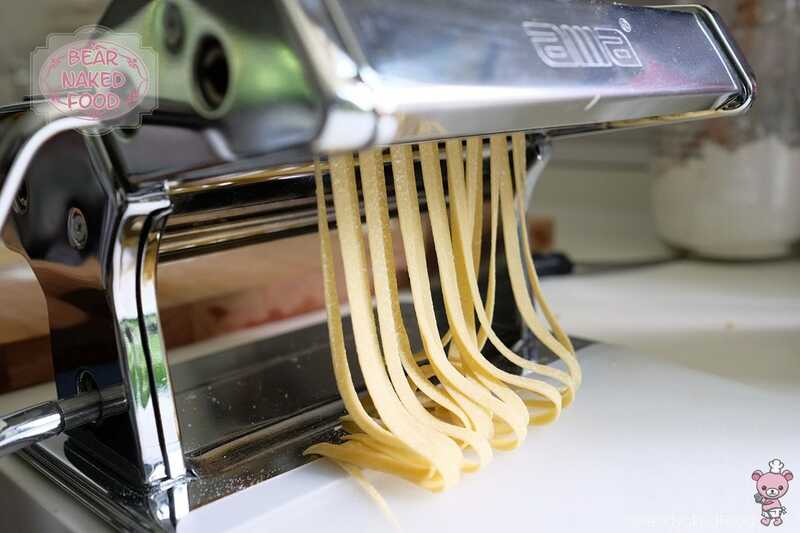 Cut the sheet of pasta into half and pass one sheet through the cutter set to your desired gauge. I chose the fettuccine cutter. 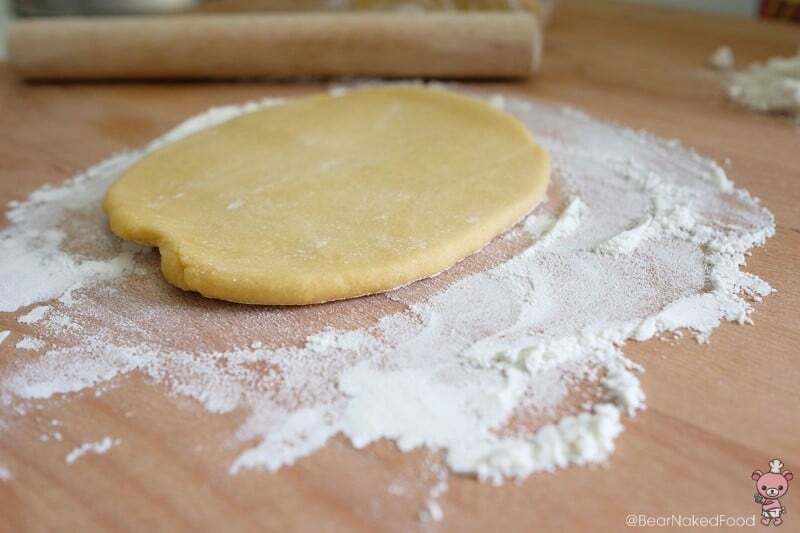 Curl into desired portion sizes and leave on a floured surface, covered with a damp cloth, while repeating the rest of the dough. 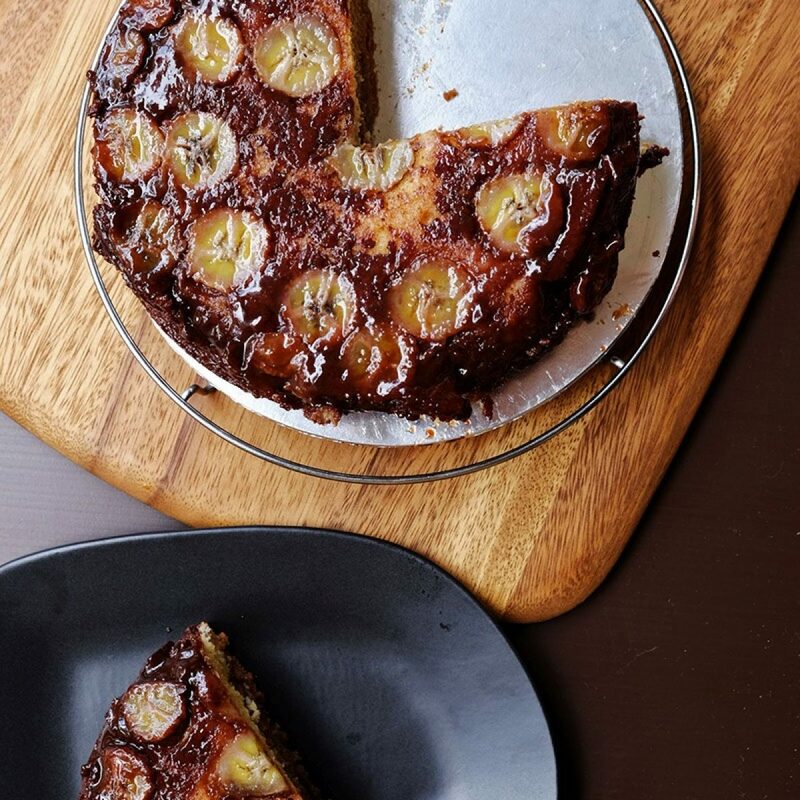 *If you are not using straight away, dry them on a baking sheet for 2 mins and dust with flour to prevent sticking. Dry them further for 30 min before wrapping them and refrigerate for up to 2 days. Or you could choose the narrower cutter for tagliolini. Bring a large pot of well-salted water to boil and add in pasta. Cook for 2 mins, stirring occasionally. For pasta sauce recipe, click here. 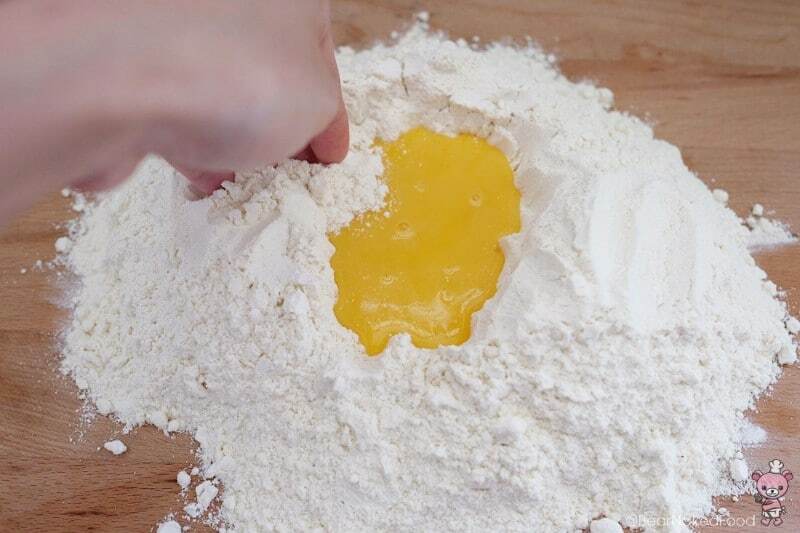 Pour in ⅔ of beaten egg and gradually stir the flour into the egg mixture. 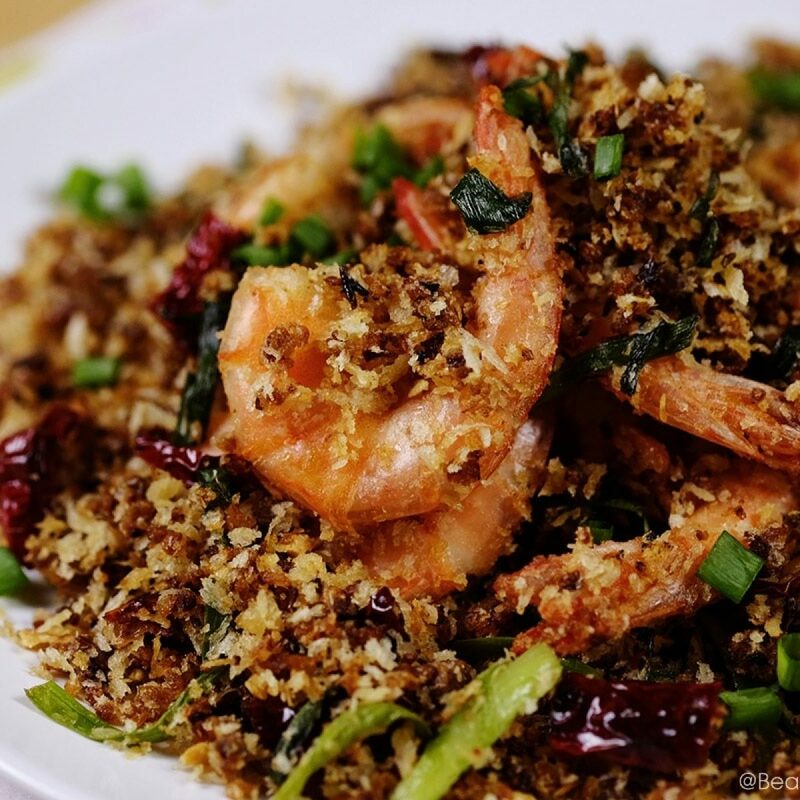 You could use your fingertips or a fork.